Recently, Samsung said that they would announce a new phone at Mobile World Congress and now they have just sent out an official teaser and invite for its Galaxy S9 and Galaxy S9+ unveiling on February 25. 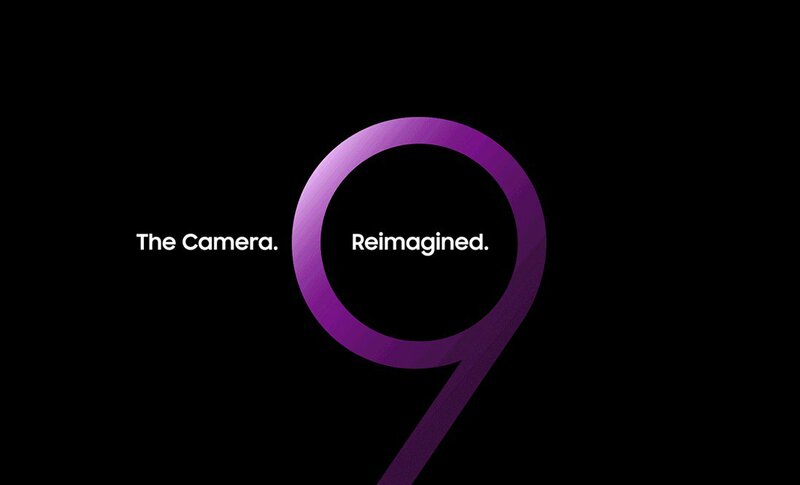 Samsung Mobile tweeted an image on Twitter which doesn’t reveal much, other than a giant “9” and the words “The Camera. Reimagined.” Since this is not expected to be a big refresh year for Samsung’s Galaxy S line, it appears that Samsung is going to put a major focus on the Galaxy S9’s camera. That lines up with a previous leak from a supposed retail box for the S9 that showed a spec list including a “Super Speed Dual Pixel” camera with variable aperture (f/1.5 and f/2.4). Other than a major camera upgrade, the Galaxy S9 and S9+ will look a lot like the Galaxy S8 and S8+ with Infinity Displays. The differences will be in a vertically aligned backside for the camera, flash, and fingerprint reader, as well as an upgrade to the Snapdragon 845 and more RAM in the S9+ variant. The S9+ may have a dual camera as well, while the regular S9 will sport a single shooter. The Galaxy S9 event time is scheduled for 6PM CET on February 25. It’ll be livestreamed for all to watch. What do you guys think? Is there excitement around the Galaxy S9 or are you like me and only expecting solid upgrades without the wow factor we had with the introduction of last year’s design?